Separate rooms for each specialty club, (TKD, MMA, BBC, & Masters) where they will be before and after training in order to do homework, relax, play games, watch movies, etc. Yoga & Meditation Room, (FREE YOGA every Wednesday & use of meditation room). A Fully licensed & Insured Martial Arts & Fitness School that has been servicing our community at the same location for over 20 years. 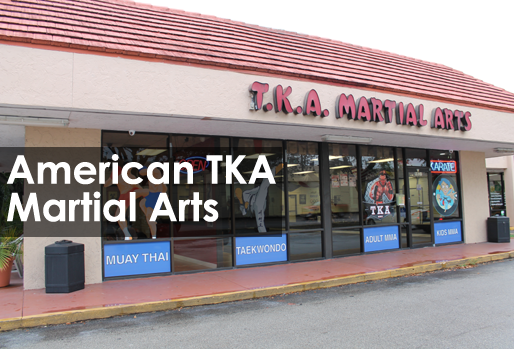 A 10,000 sq foot facility with 4 separate studios with state of the art equipment within the Martial Arts Industry. We take pride in our safety and engaging environment. 6 Transportation Vans/Bus, fully safety certified and inspected. Teaching 8 Martial Arts Disciplines (Tae Kwon Do, MMA, Brazilian Jiu Jitsu, Boxing, Muay Thai, Judo, Fit-Kickboxing, Karate, Kung Fu, Parkour & Yoga). 11 Highly Trained and Certified Instructors. The best Instructor / student ratio in South Florida. 6 Instructor/Drivers assigned directly to the After School Program. A+ Rated After School Program. Building strong character and confidence through our highly regarded leadership/behavioral techniques. We strive to build confident, well behaved individuals through positive reinforcement & discipline in a rewarding environment where everyone feels empowered, appreciated and loved. After School Facility is a renovated safe environment where children can work on their studies, read, interact and train. Parents can pick up their children up to 6:30pm which is 30 minutes later than many other after school facilities in South Florida. Our martial arts school works closely with parents and teachers in what we call the “Triangle Principle” where learned behavior at our school must be applied in all 3 locations, (home, school and our martial arts facility) in order to advance with our program. Incorporate our own Report Card every quarter before we allow students to graduate to the next level. Summer, Winter and Spring Camps offering exciting daily field trips incorporating daily Martial Arts and Leadership Training. We invite you to come by and take a tour of our facility and meet our team.